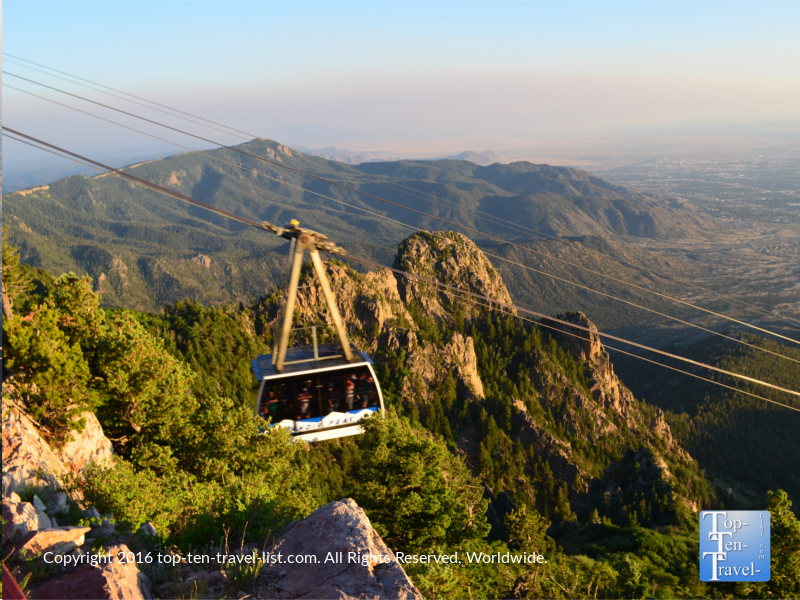 Attraction of the Week: The Sandia Peak Tramway - Top Ten Travel Blog | Our experiences traveling throughout the US. 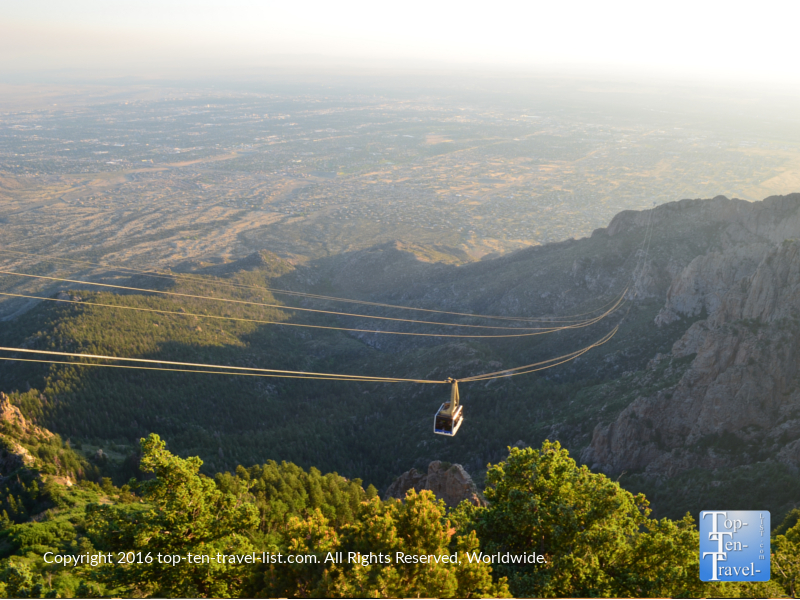 The 2.7 mile long Sandia Peak tramway is one of the longest aerial rides in the world. This May marked the tram’s 50th year. A 15 minute ride (the tram supports 10,000 lbs and holds up to 50 people!) 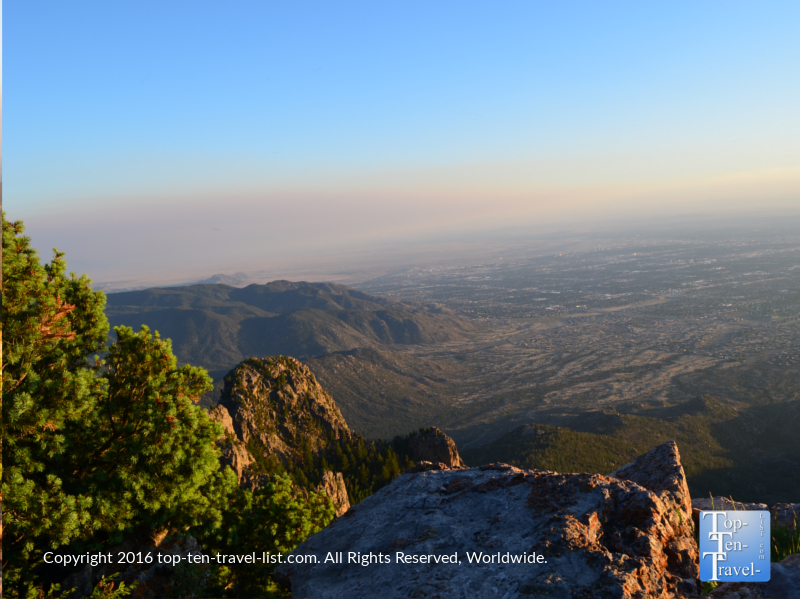 will take you to the top of the 10,378 foot tall Sandia Crest, the highest point in the Sandia mountains. 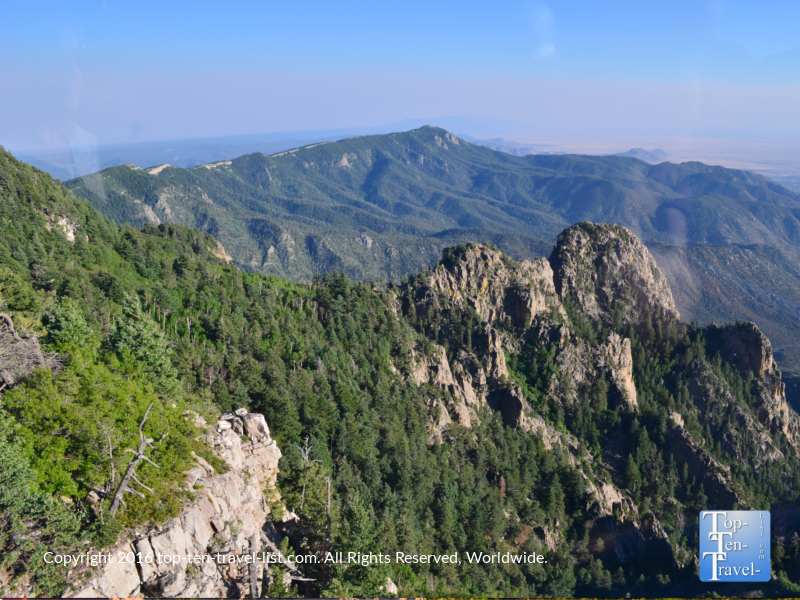 The Sandia Mountain range is located within the Cibola National Forest. 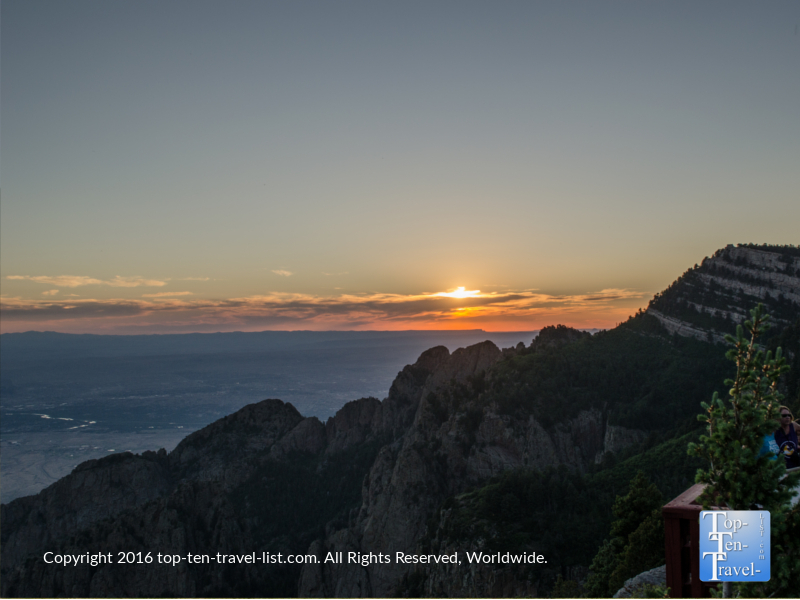 The name “Sandia” means watermelon in Spanish, thought to be due to the gorgeous reddish color of the mountains at sunset. 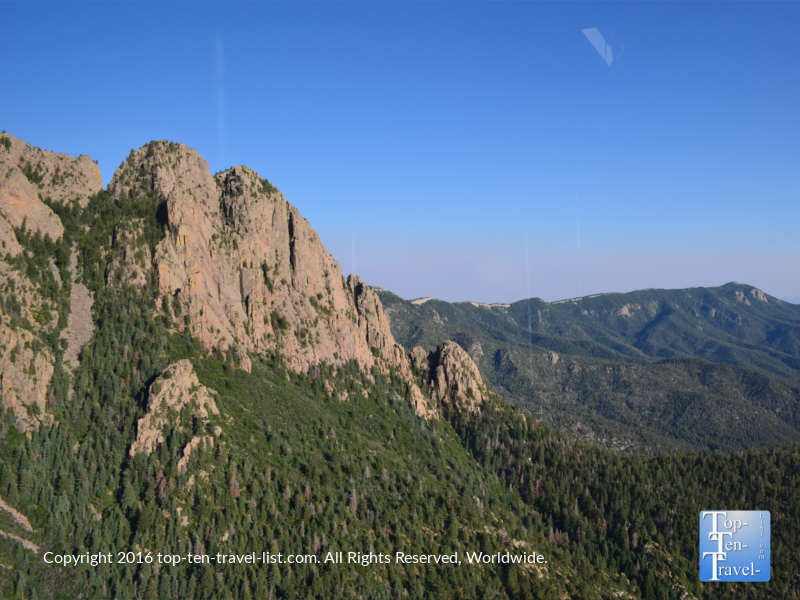 You will be gaining almost 4000 feet in elevation as you take off from just 6559 feet! This means that the temps can be up to 30 degrees cooler at the top, so bring a jacket even during the hot summer months. The ride up is a bit cramped due to the crowds, however, the scenery is beautiful and constantly changing due to the drastic elevation differences from when you start to the top. At the top you will find several recreational activities (miles of hiking and mountain biking trails), an observation deck, as well as a restaurant with great views (High Finance). If you are lucky, you may see a black bear or mountain lion. A diverse range of animals call these mountains home. 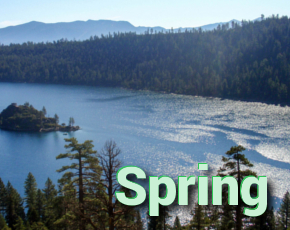 While spring and summer area great times to visit due to the enjoyable mild temps (the high altitude sure makes for a nice escape on really hot summer days in the desert), fall and winter visits should not be ruled out. Come fall, the mountains are alive with beautiful golden aspens. And, wintertime offers some of the most striking views of the snowcapped mountains, as well as opportunities for fun winter sports like skiing and snowshoeing. 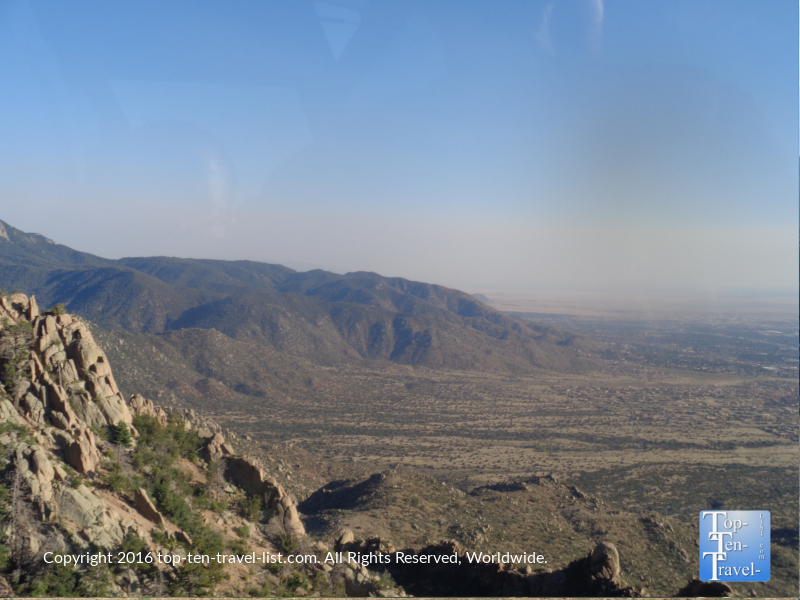 The best part of the tram ride is taking photos and enjoying the scenery from the observation deck. Planning your ride just before sunset is a wise idea as it gives you more beautiful photo opportunities, and thus, makes the pricey ride feel more worthy of the cost. 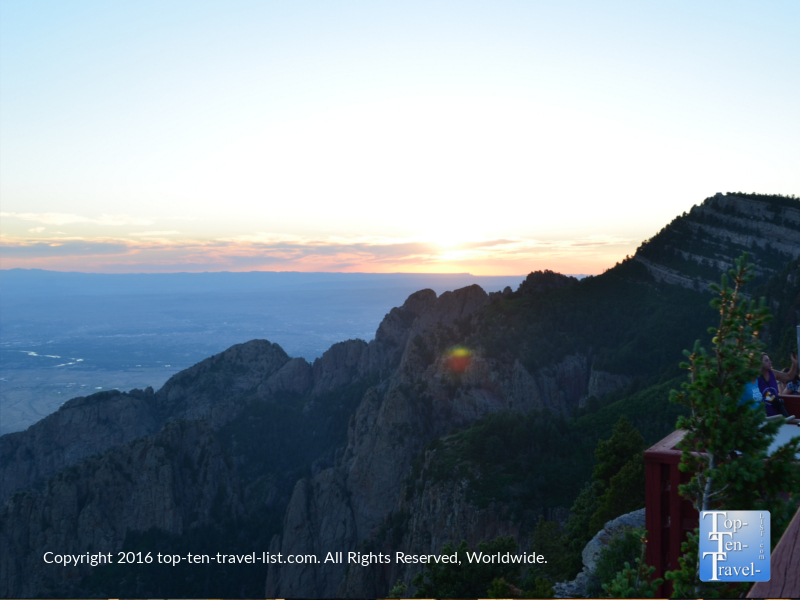 True to the name Sandia, the colors are pretty spectacular at sunset. 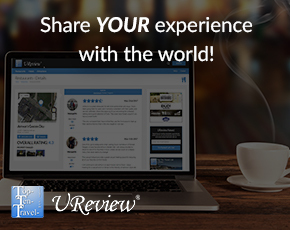 No matter what time of the day you visit, you will be treated to some beautiful overviews of the area. 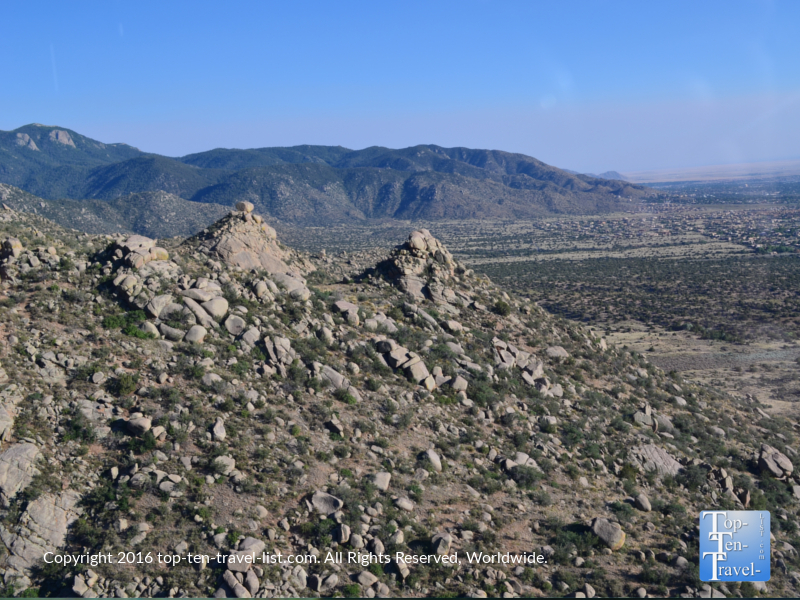 If you visit during the daytime, you will have gorgeous views of the entire city as well as picturesque views of the Sandia Mountains and the beautiful diverse plant life which includes everything from desert scrub to ponderosa pines. 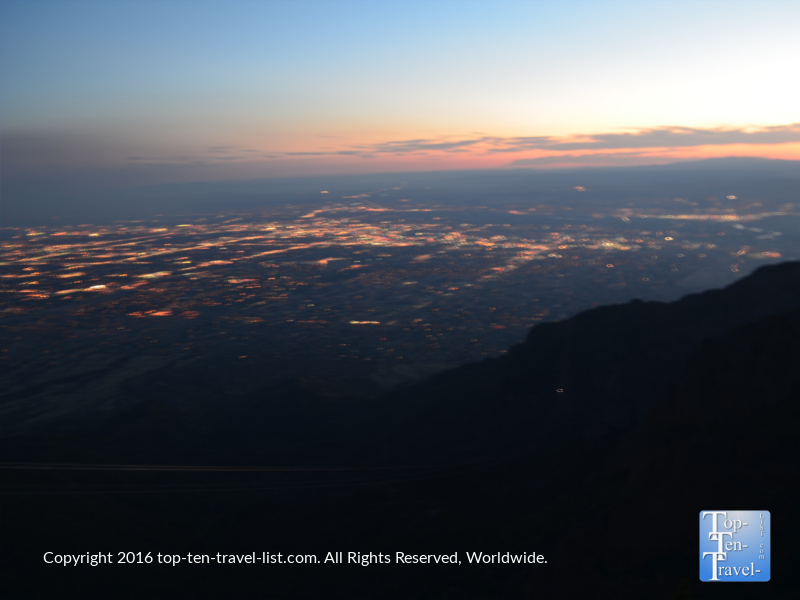 Nighttime offers a completely different, yet just as breathtaking view of the city lights. No skyline view, yet still peaceful and beautiful scenery. 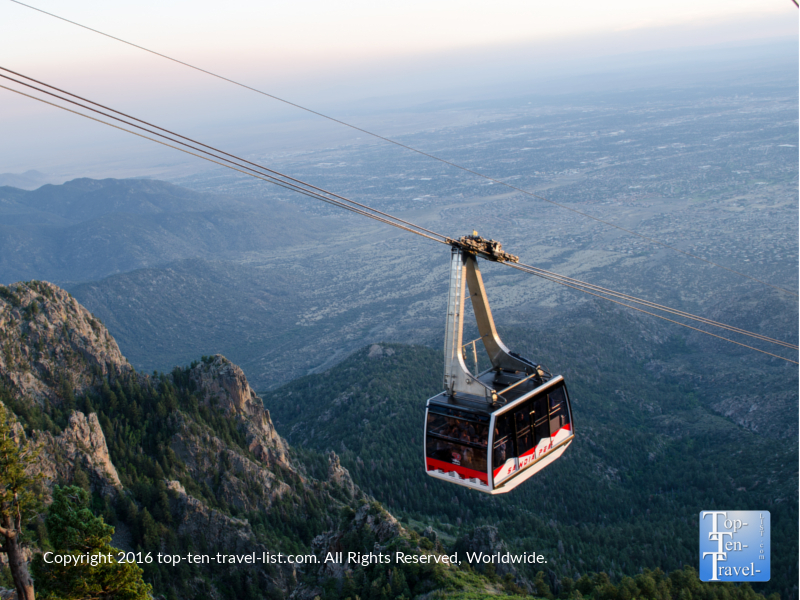 Overall, a ride on the Sandia Peak tramway is a great addition to any Albuquerque vacation. It’s pricey, yet still worth it for the incredible scenery, especially if you are limited on time and unable to complete any lengthy hikes in the area. 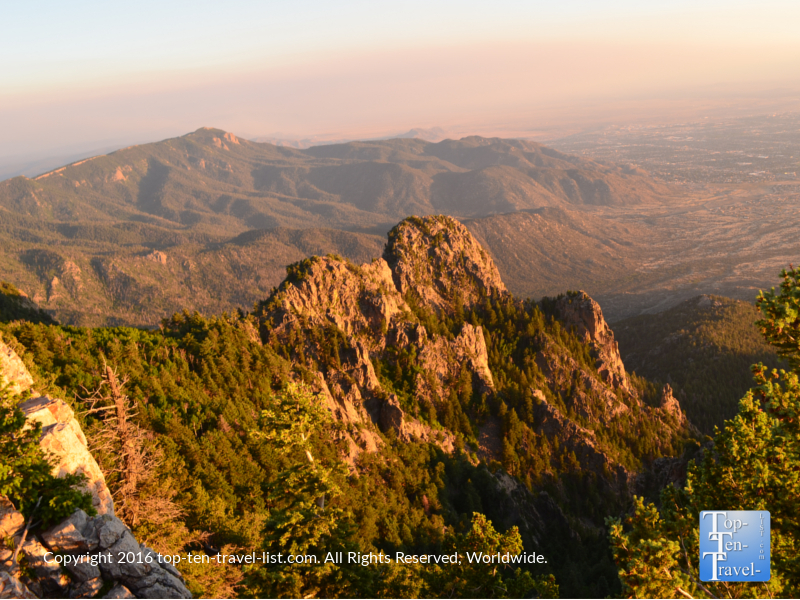 For an extreme challenge, you can hike the 9 mile La Lutz Trail up to the tramway and then purchase a cheaper one way ticket down. Note: this hike is only for very experienced hikers due to the extreme terrain and distance and high altitude. Hours: Summer 9am-9pm, Fall & Winter: 9am-8pm (Tuesdays 5pm-8pm). Trips take off every 20-30 min. Rates: $25 adults, $20 seniors, $20 Teens (13-20), $15 kids (5-12), Under 5 free. $20 for adults with prior dinner reservations. One way is $15.